Listen to all the actors who have voiced the following Popeye (2016) characters. 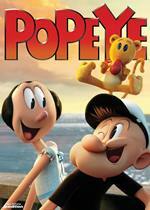 Shows: Popeye's Voyage: The Quest for Pappy, Popeye and Son, The All-New Popeye Hour. Games: Slots from Bally Gaming, Popeye & The Sunken Treasure, Popeye Saves The Earth.